The Urban Decay Moondust Eyeshadows, new for summer 2013 ($20 each). Coming soon to Sephora and Ulta stores, and online. I cannot wait for those to come out. 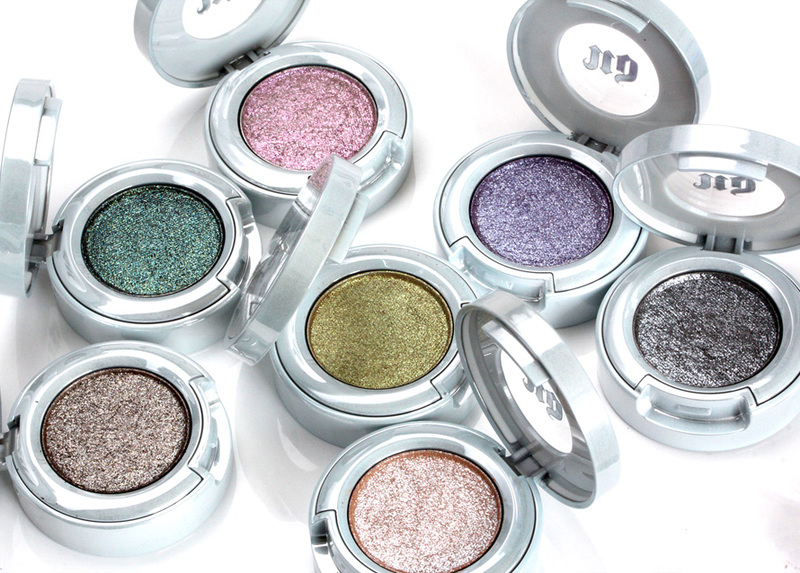 I love Urban Decay eyshadows and these look awesome!What girl doesn’t like some sparkle, right? Yes! Gimme the bling any old day. ooooooooooooooo! Those look beautiful! I hope the payoff is nice and opaque, I hate when glitter eyeshadows are chunky and not pigmented. The only thing I would wish is for more bright colors? Since it is a summer release. Are these all the colors? Yup, these are all the colors. There are 7 shades for summer. I have never tried this brand but it looks very nice… perfect colors for summer! The Urban Decay Moondust eyeshadows remind me of the formula of one of L’oreal’s Infallible eyeshadows called Golden Emerald. 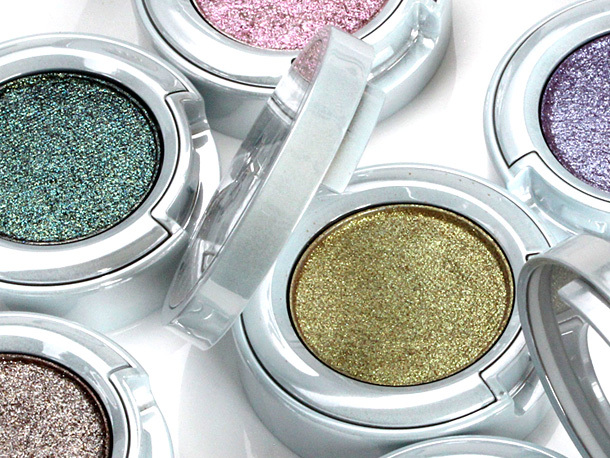 It’s very sparkly and makes your eyes glisten, but it doesn’t contain any chunky glitter. Can’t wait for these! They are so pretty and sparkly! I’m pretty sure I am going to skip these.. *pretty sure*. I guess it depends on a few more reviews.